In a world of shadows, anything is possible - except escaping your fate. Ever since she was a child, Ivy has been gripped by visions of strange realms just beyond her own. 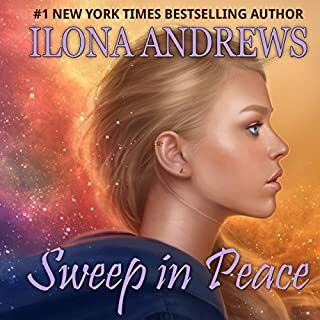 But when her sister goes missing, Ivy discovers the truth is far worse - her hallucinations are real, and her sister is trapped in a parallel realm. And the one person who believes her is the dangerously attractive guy who's bound by an ancient legacy to betray her. Adrian might have turned his back on those who raised him, but that doesn't mean he can change his fate, no matter how strong a pull he feels toward Ivy. 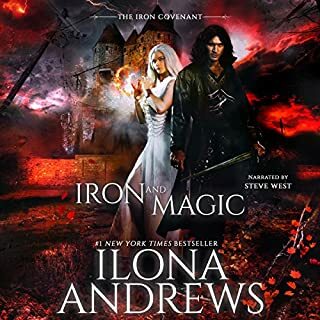 Together they search for the powerful relic that can save her sister, but Adrian knows what Ivy doesn't: That every step brings Ivy closer to the truth about her own destiny and a war that could doom the world. 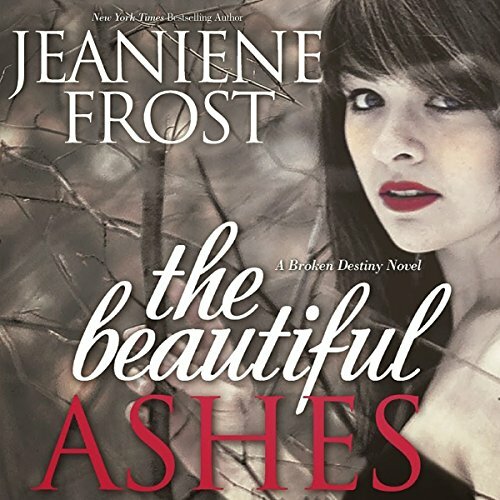 Sooner or later, it will be Ivy on one side and Adrian on the other - and nothing but ashes in between. The main character "Ivy" has some powers were made her life hard, she kept on seeing other things around her, not only what regular humans could but supernatural things... that part was interesting a bit... but i don't know how to say this, the story was going a bit too fast. I do think that it could have been a bit longer so there could be more details, it did go really fast and for some reason it didn't feel right. 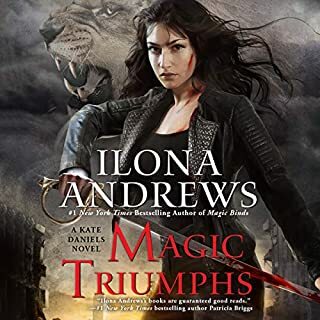 but the plot itself is very interesting, it is different than the usual books you read and there is plenty of conflicts between the characters, which i have liked. I'm interested in how it will continue, so for sure will get the next one. Great Listen, but was it YA or not? 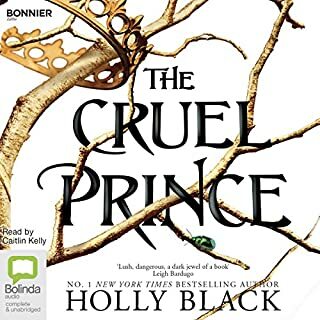 I loved this book and can’t wait for the next in the series to come out. 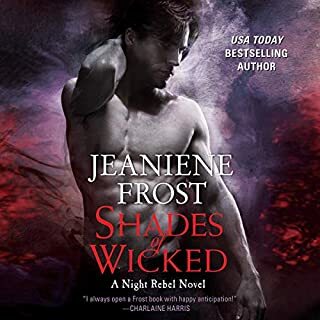 I love Jeaniene Frost’s writing and haven’t read (or listened) to a book I didn’t like. However, I can see why many people (even her diehard fans) were turned off by this particular one. There isn’t much “steam” to this one and it’s relatively PG compared to her other books. 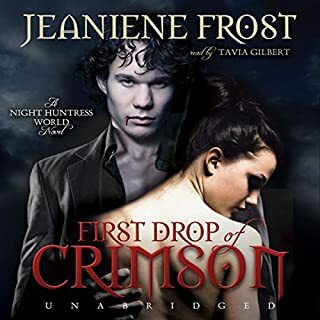 It’s definitely more of a YA listen than an adult PNR book. However, I do love YA and by its own merits this was a great story. I am hopeful this series will “mature” along with the main character, Ivy. Overall I would recommend this one if you like Ms. Frost's books and try not to compare it to Cat and Bones. I really wanted to like this book and at certain parts I did like it, but overall, I was just ready for it to end. 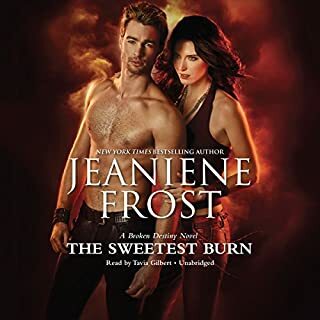 Usually, I love jeaniene frost, which makes me wonder if it was not so much the story I didn't care for as much as it was the narrator? Why is it that authors think it will be easy to write for young/new adults? Evidently the formula is to create a simpering, melodramatic, stupid heroine. The narration didn't help since Ivy sounded like a 15 year old and Adrian a 40 year old. This book was especially disappointing coming from the author of the Cat & Bones series which I enjoyed. I guess I have become spoiled in what my expectations are from JF. I've LOVED the Cat & Bones series since the start and the spin off series from those books. Needless to say I have all of those and was anxiously awaiting this new series. Maybe this was just a soft beginning to what may get to the level of what I have found to be her usual level of stories. I hope so. I'll probably download the next in this series with that hope in mind. I won't be as eager to do so, though. I found the lead character to be a bit whiny, immature for her supposed age of 20 and not interesting in her overall role in the story. 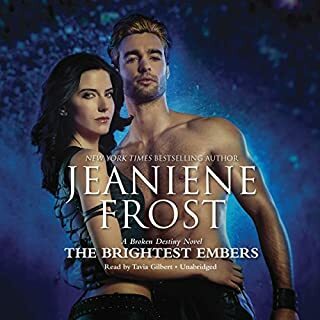 The lead male has lots of potential and I'm hoping to see him fill out, too.Tavia Gilbert as narrator helped since her familiar style kept me listening just in case things improved. There is a lot of potential in the story line, so I'm hoping JF will rise to her level which I have grown to know and love. I'm not going to compare it with Cat and Bones. Not a bad concept for the story line and fairly predictable. I personally found there to be a lot of waffling. Repetition of facts that, lets face it, we readers are not stupid nor are our memories bad enough to warrant continuous repetition of facts. 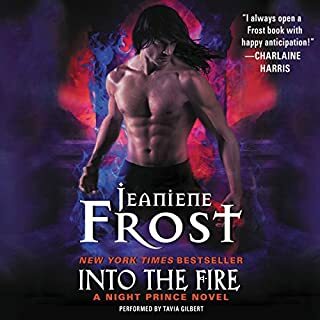 Hopefully it's just because it's the beginning of the series and Jeaniene was just trying to set the scene and maybe some people need to be reminded, over and over again. 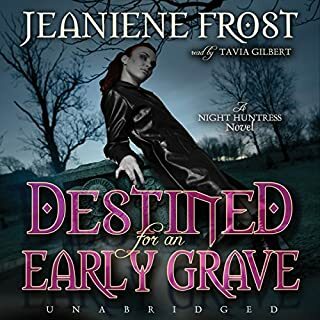 Tavia did a good job as usual but I kinda think that another narrator would have been better as we (fans) associate her too much with Cat and Bones. It wasn't the kind of book I just couldn't put down and had to read all at once but it was a pleasant (if slightly monotonous) read (listen). I will be buying the next one to see how it goes.. GO IVY!!! 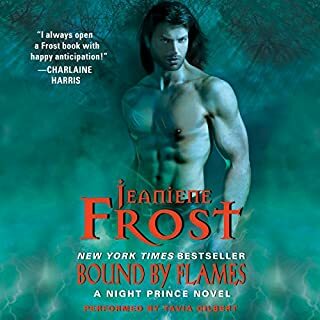 I adore the Bound by Flames series by Jeaniene Frost, thus I looked forward to trying this series. I HATE stupid whiny heroines. HATE. The fact that this Heroine actually says she is not one of those stupid heroines that gets herself in trouble... she is. AND she whines NONstop. If she isn't constantly freaking out and whining she is being stupid. The concept is AWESOME. I love the concept I love where its going but I am constantly wanting to reach through my headset and strangle Ivy. At the point of writing this I have an hour and half left of the book, which I will absolutely finish because I want to see where the story is going as I said the story line is excellent. I just wish I didn't have to listen to Ivy being an idiot for that whole time. The other characters are strong, well written and easy to deal with, the one you are suppose to feel compassion for and cheer for... her I want a demon to kill even if it will ruin the story. 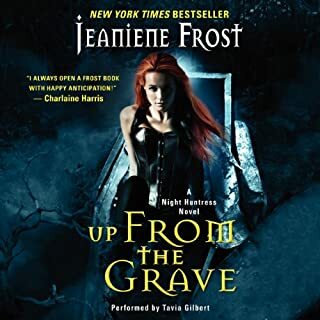 I've read and enjoyed the Cat and Bones books, and looked forward to something new from Jeaniene Frost. I was quite disappointed. 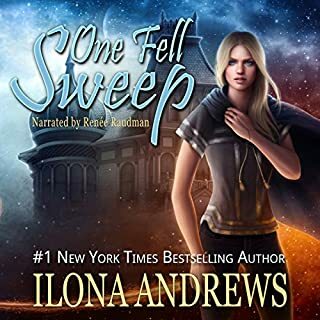 First, I did not realize that is was a YA book — I would have expected that to be spelled out somewhere, but I see no mention of it in the book description either here or on Amazon. Regardless, there was little character development. It was virtual nonstop action scenes, but one is left knowing very little about the main characters. Their attraction is fated, so there is apparently no need to develop it during the story line. And, of course, since this is the start of a series, one is left hanging at the end. Finally, although I enjoyed Tavia Gilbert's reading of the Cat and Bones books, I thought it was over the top here. Way too much breathlessness and emotion — it was more like the book were being acted out rather than being read. This is NOT a Cat & Bones Novel!!! This was a seriously different departure for JF here. I loved the story line here and was excited that Ms. Frost had the insight to make sure this was a truly different. I really liked the story. Falling in love at age 20 seems more like YA to me though. There was a romantic scene for the two heroes which was well done and appropriate for the series. I, however, want to read about older and more mature people. I plan to buy the next book in the series, but of course I hope that the way this was left is that the heroine will spend time maturing. JF poses a crisis of faith for the heroine. This development of faith was based on one's true inner spiritual identity was dealt with in an amazing and tolerant way. Her humor was well done. As we all know from her recent books--demons can be killed with demon bone. In this book, there is a world at stake and the rules are different. Although I miss them, I really appreciated the departure from Bones and Cat. Ms. Frost truly shows the depth of here writing. My only complaint about the book is that Ms. Frost writes about a PTSD attack which is really an anxiety attack. PTSD is a disorder and one can have symptoms but not an attack. 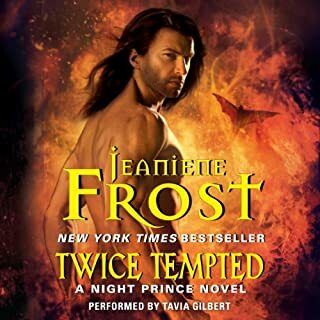 As much as I like Tavia Gilbert, I would have enjoyed a different narrator since this is a different world. No vampires. The main female character (Ivy) gets a little overly dramatic and hysterical sometimes, and unfortunately Ms. Gilbert does a very good job of being dramatic. The main male character (Adrian) is a stubborn old man, which makes sense after a while. I gave this 4 stars because the story seems overly complicated, to where the word “convoluted” comes to mind. It all works out in the end, but it seems that if the story started 2 weeks earlier (back when things were normal), it would have drawn me in better. I felt lost for the first few chapters, trying to figure out the back story. It got better after that. Hopefully book 2 will be more straightforward.